Gluten free: A favourite claim in the food packaging world. Gluten free bread, gluten free cookies, gluten free pasta, gluten free water, gluten free gluten. The whole world has gone gluten free crazy. Journalists, quacks and randoms with a computer all have an opinion. It seems every man and his dog are preaching the benefits of gluten free diets, from promises of weight loss, to less bloating, to more energy. What does the science say? Fad, fiction, fact or downright foolish? Gluten: It's a protein found in wheat, rye, barley and oats. It's the protein responsible for that lovely spongy, springy and fluffy texture in bread. It's commonly found in pasta, baked goods and cereals. In bread, for instance, gluten forms when flour is mixed with water. 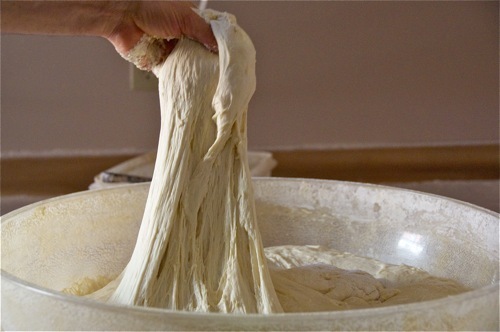 Gluten creates a complex structure which is enhanced by kneading. This structure traps the gas released by the yeast, thus allowing the bread to rise. 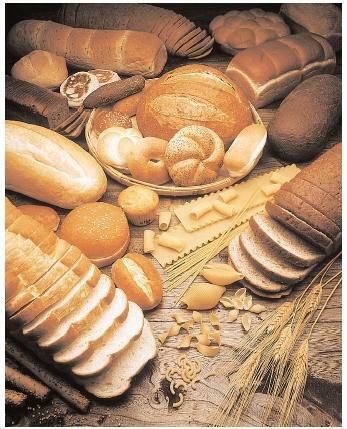 People with diagnosed Celiac Disease (CD), truly must avoid ingesting gluten. What is CD? It is an autoimmune disease where the body reacts negatively to gluten. What isn't CD? Ordering from the 'gluten free' menu at a restaurant because you want to feel special. What else isn't CD? Feeling sick after you put too much in your pie hole. CD is characterised by damage to the intestines caused by gluten. 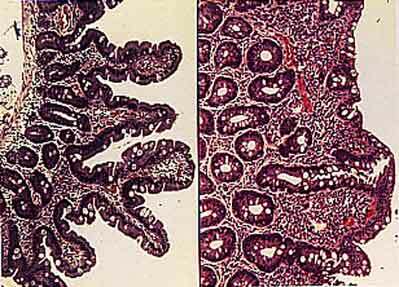 The damage is flattening and chronic inflammation of the 'villi' in the intestines, called 'villous atrophy' (see Fig 1). These 'villi' are finger-like projections lining your gut that increase surface area and allow your body to absorb food particles and nutrients. Another way to think of this is opening your hand. Your fingers are like the long villi in your gut. Now if you make a fist, your fingers are gone and all that's left are your knuckles which are very flat in comparison (much less surface area and harder for your body to absorb nutrients). Symptoms of CD range from various nutrient deficiencies, bloating, gas, nausea, abdominal pain, diarrhoea, weight loss and sometimes weight gain. 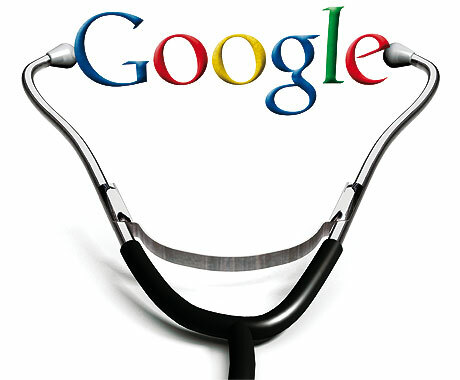 The problem is, these are very common symptoms for many conditions, and plugging them into Dr. Google is meandering down the road to a wrong diagnosis. Blood testing is the first step. Though blood screening alone is not enough to diagnose CD. Positive blood tests require follow up by a small bowel biopsy, which identifies villous atrophy. Genetic testing is useful only in some cases. Again, the gene test alone cannot diagnose CD as only 1 in 30 people carrying the genes associated with CD, will actually develop it. But what if you just feel like cutting out gluten because you've had a few of these symptoms and you're sure you'll feel better once you go gluten free? You've heard you'll lose weight, gain energy and your bloating will disappear. All problems fixed by avoiding gluten for no other reason than "it just makes sense". We all know someone like this, and next week's article 'Highfalutin Gluten part II' will discuss the validity of these statements, get our hands on some food packaging and arm ourselves against the fictitious nonsense lurking about. There is actually a condition called Gluten Sensitivity that is a real, researched condition. These people test negative for Celiac disease but can have from uncomfortable to crippling symptoms from eating gluten, thus it is imperative that they follow a gluten free diet. In addition I want to note that some people don't go gluten free because their doctor tells them they don't have it, only years later to find out that they do, in fact, have Celiac, but the blood test or biopsy missed it. 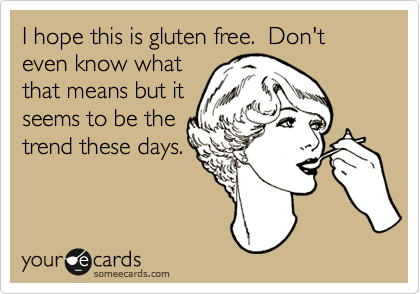 If someone feels better on a gluten free diet, they should follow it. Our testing methods leave much to be desired and are commonly criticized by experts. Here a little bit of research on gluten sensitivity, but I suggest delving more deeply into it. Thanks for you comment! You are correct re the fairly new condition called 'gluten sensitivity'. It is my understanding, and also based on the research you cited, there is still no method for diagnosis, which makes things really difficult and complicated. I didn't go into GS in these articles due to the current lack of research and diagnostic criteria. GS differs greatly from CD. People with CD have an immune response that, with ongoing gluten exposure, can damage their intestinal tract and cause problems like malabsorption of other nutrients. Ongoing gluten exposure was recently linked with long term side effects like increased risk of gut cancers. People with GS can still eat gluten without having these side effects. It's similar to people with IBS; they may have bloating or discomfort when they eat say dairy, but should they choose to eat an ice cream, they can and it's their choice to deal with the ensuing discomfort. As a dietitian, I get worried that people think they have GS because it's trendy. They may not know what actually does contain gluten (things like sauces and condiments) and they'll still eat those, but they'll cut out a huge chunk of foods from the 'carb group' that they can eat and are actually really important for health.